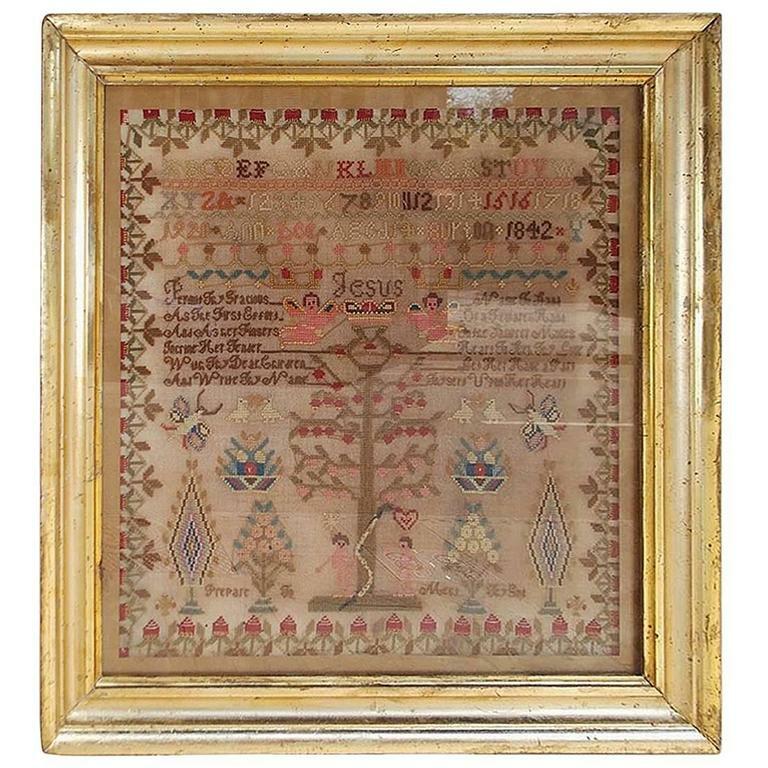 American needlepoint christian themed sampler in the original gold gilt frame under glass. Tree of knowledge good and evil. Adam and Eve with the serpent. Worked by Ann Lee Burtin, Age 14, Dated 1842.